Visiting Hawaii with small children can be a magical and fun-filled experience, but (in my experience anyway), little ones can take only so much sun and outdoor frolicking before they tire-out. So, lots of smart parents sprinkle a bit of indoor fun throughout their Hawaii vacation. Which inspires me to write about a hidden gem right here in Honolulu — The Hawaii Children’s Discovery Center in Honolulu. 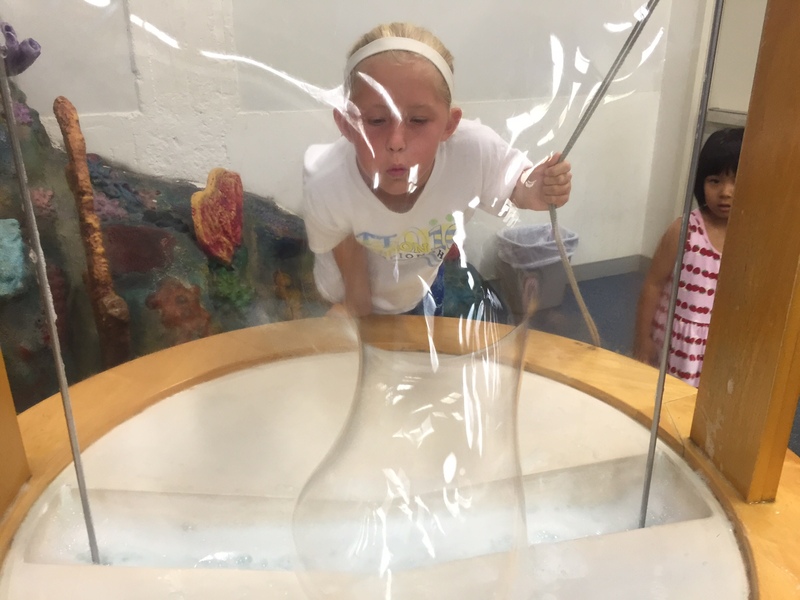 The Discovery Center is all about learning, and you'll find interactive exhibits that relate to real-world places all throughout the center. It’s a place my kids and I frequented over and over again when they were small. And, guess what? Turns out, it’s just as much fun now that they’re bigger. And, grown-ups like me enjoy it, too. So, as far as I’m concerned, a trip to the Discovery Center is a win-win for all! 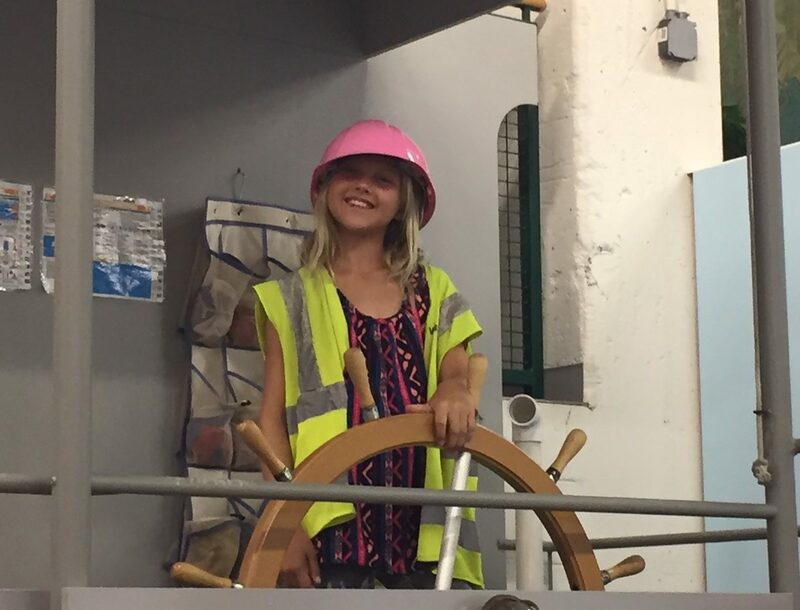 Some of the exhibits are replicas of real-world equipment, and most kids can't wait to do these grown-up jobs! 1. It’s all about learning: From the moment you enter the center to the last exhibit on display, you’ll notice the interactive environment is all about learning. Learn how the heart pumps blood through the body; then, turn the corner and explore how banks, doctor’s offices, and veterinary clinics work. Head upstairs, and board a cargo “ship.” All the exhibits are designed to inspire the young and “young-at-heart” to new heights of learning and discovery. 2. It’s also all about being interactive: I’m not sure if it’s just this generation of children, but I’ve learned my kids are all about interaction. No boring plaques for them! It’s all about touching, feeling, exploring. The Discovery Center is custom-made for children who like to use their hands to learn. For example, one of my kids’ favorite exhibits is a Hawaiian Airlines “plane.” Inside, you’ll find real airplane seats, a beverage/meal cart, and a cockpit where children can simulate landing and taking-off. 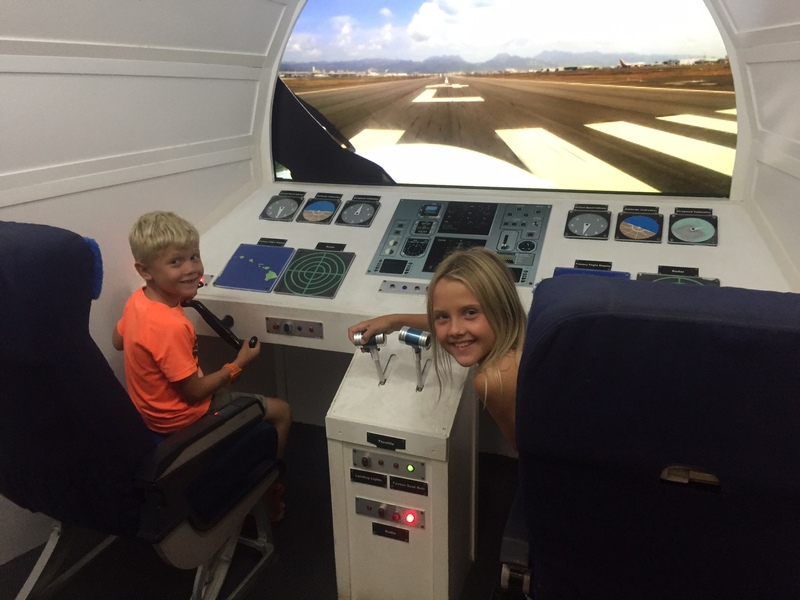 A flight simulator on a Hawaiian Airlines "plane" is my kids' favorite exhibit. 3. It’s inexpensive (by Hawaii standards): General admission is just ten dollars per visitor, which means you can be in-and-out for less than fifty bucks (even if you buy a couple refreshments at the restaurant). For 2-3 hours of fun, learning, and family bonding, you won’t find a better bang for your buck. 4. Culture is key: The lower floor of the Discovery Center is more typical of Anytown, USA. But, go upstairs, and you’ll find an international culture-fest where children can learn about the different nationalities and cultures that are an important part of Hawaii’s ethnic patchwork. Have your children grab a “passport” and visit each country to learn about the different customs, food, and values. 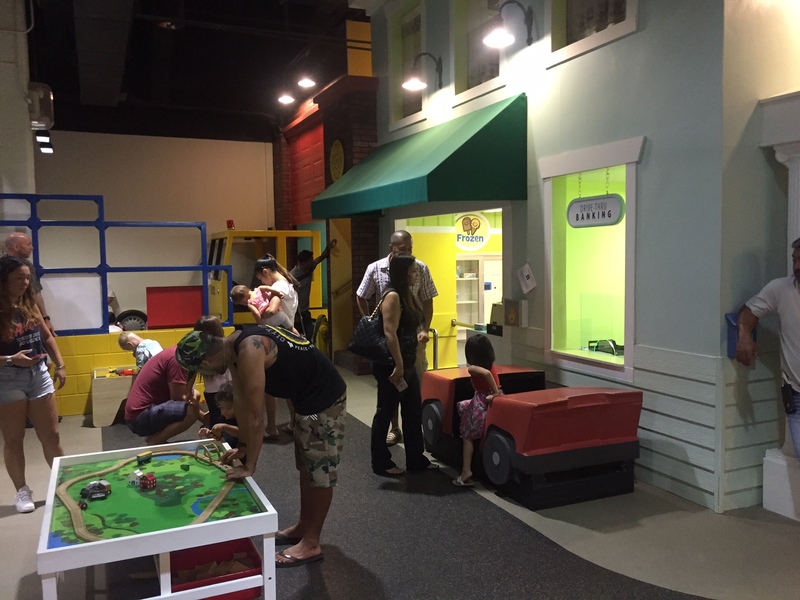 The Discovery Center has interactive exhibits for ages toddler through teenager. Even parents might find some of the exhibits fun! 5. Give yourself a break: Schlepping little ones back and forth to the beach and pool can be physically exhausting, and, sometimes, by the time you figure-out your child has “hit a wall,” it’s too late. Instead, spend a few hours watching them explore and learn about their environment. They’re brains are little sponges, after all. And, it’s fun watching all the information get absorbed. Learn how far you can blow without bursting the bubble! 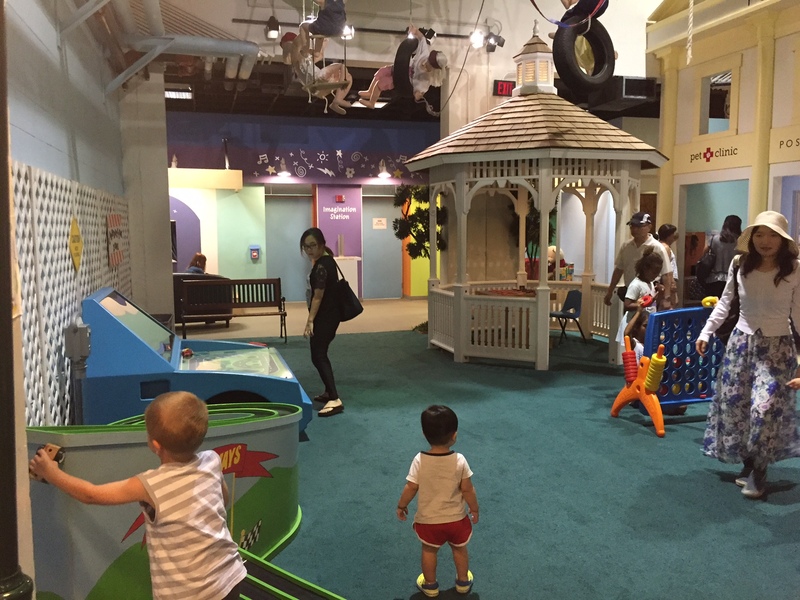 The Children’s Discovery Center in Honolulu is the perfect place to take a break from the beach, especially if your kids need a change of pace from the sun and fun. And, it’s located not far from most Oahu hotels in Waikiki. So, sit back, relax, and let the fun, interactive exhibits entertain your children for a while — the beach will be there after you’re done!